A night full of laughs and wit! Bringing the best comedy chops in town; we are back with The Inside Joke on the 27th of September! Join us at 1Q1 Kitchen & Bar and expect the unexpected with two of the best comedians in the country. 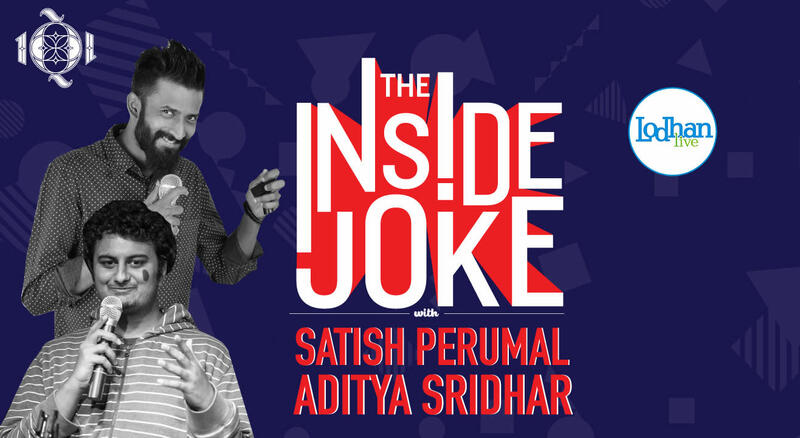 Joining us is Satish Perumal, who is a seasoned stand-up comedian whose had many successful shows across the country and Dr. Aditya Shridhar who is a doctor by profession and moonlights as a comedian! They are both ready to make your night unforgettable and give your stomach some exercise!